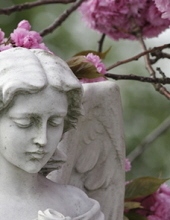 Josephine T. Casdia of Cherry Hill, NJ, died January 28, 2019. She was 100. Beloved wife of the late Anthony. Predeceased also by daughter in law Victoria Casdia and great grandson Max Baran. Loving mother of Robert Casdia of Cherry Hill, NJ and Ronald Casdia (Kellie) of Cherry Hill, NJ. Also survived by 5 grandchildren and 16 great grandchildren. Born in Richland, NJ, Josephine Casdia was a child when her family moved to Camden, where her father owned and operated a drugstore/soda shop. A graduate of Camden High School, she married Anthony, her late husband, and the two remained in Camden until 1958, when the couple moved to Cherry Hill, NJ. Josephine was a homemaker, traveler, cook and baker. She will be greatly missed by her loving family. Relatives and friends are invited to attend the viewing Friday 9 to 11am in the Schetter Funeral Home 304 W. Marlton Pike, Cherry Hill, NJ 08002. Entombment Calvary Cemetery, Cherry Hill, NJ. In lieu of flowers contributions in her memory may be made to the Alzheimer’s Association 3 Eves Drive, Suite 310, Marlton, NJ 08053. Please visit schetterfh.com to share your condolences with the family. To send flowers or a remembrance gift to the family of Josephine T. Casdia, please visit our Tribute Store. "Email Address" would like to share the life celebration of Josephine T. Casdia. Click on the "link" to go to share a favorite memory or leave a condolence message for the family.